Everyone wanted to be a winner at the Scotch Pie Club Awards 2014 and for Brownings the Bakers the dream came true twice, with them winning the best Steak Pie and Best Football Pie awards. 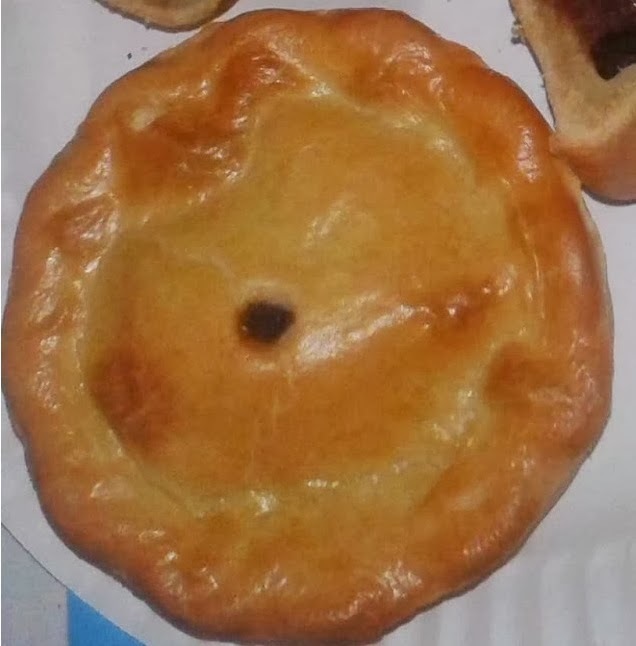 The craft baker in Kilmarnock has quite a reputation, having won numerous awards for the 'Killie' Pie sold at Kilmarnock FC. 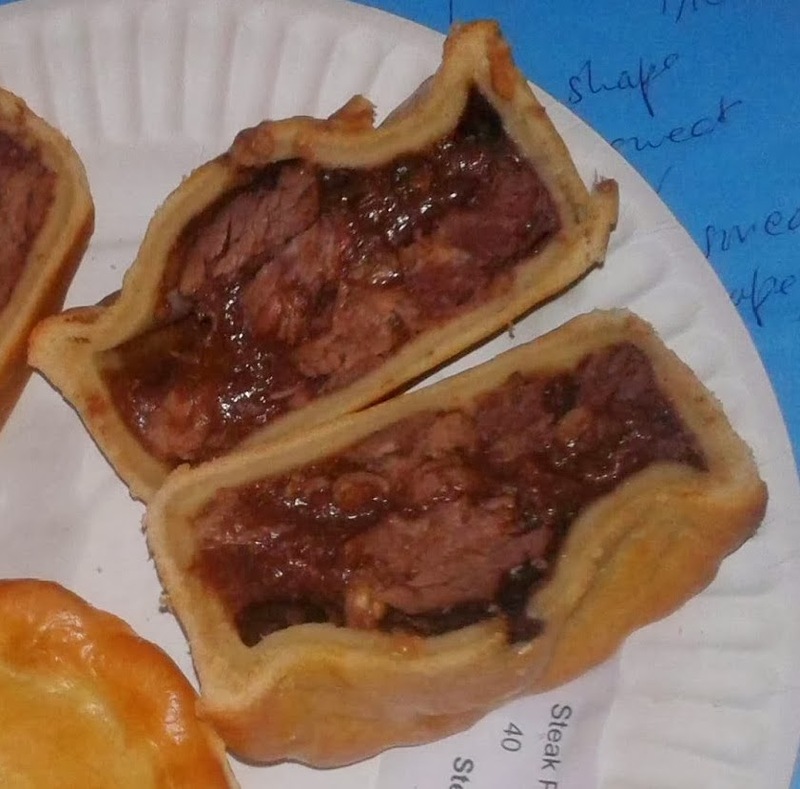 Unusually for Scottish Football the Killie pie is not a Scotch Pie but a Steak Pie so it seems they know a thing or two about steak pies. We have here the steak pie rather than the football pie and you can see from the outside that it already looks like a winner! The pie has a lovely golden brown Colour and an artistic crinkled edge. The pie is in perfect Condition and stands tall giving it a great Capacity for a hand held pie. It retails around £1, so not bad Cheapness for it's size. Delving into the interior Content of the pie it was a delight to see such big chunks of steak. The smells coming from this pie were amazing, really rich and meaty. The steak was sat in a lovely thick sauce, so viscous it was almost like jelly. The pie was well seasoned with quite a peppery taste and the steak was tender. Unfortunately as you can see there was a bit of an air gap with this pie, but not very significant. The pastry tasted nice but the big thing that let this pie down was that the pastry was a bit too thick. This meant some of it was a bit doughy and did spoil the Chewiness. However, as a consequence the thick shortcrust pastry held the pie together well, so ideal as a portable snack. Overall, only some minor criticisms of this pie which mean it wasn't Consistently brilliant but a pie I would certainly buy again. The pie gains the status of Pierate 'Recommended' pie for scoring over 5 out of 7. See other 'Pierate Recommended' pies in the Pierate Pie Rankings or find other pies of a similar flavour.